Welcome to Grizzly Outfitters, LLC. 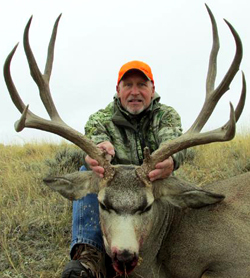 Our specialty is in Wyoming and Montana trophy mule deer, antelope, and elk hunts. 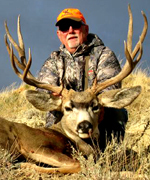 Grizzly Outfitters has been in business for over 25 years. 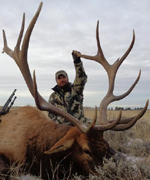 We offer excellent quality animals as our repeat clients can testify. 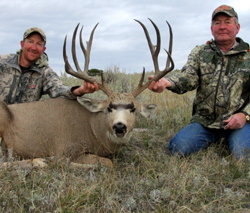 Our hunt area is excusive on 245,000 acres in one block covering both Wyoming and Montana. 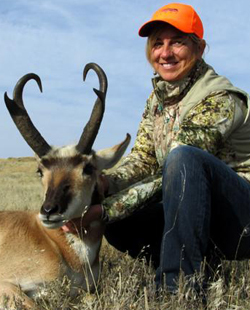 We have a complete record keeping program and acquire yearly records on each animal taken. 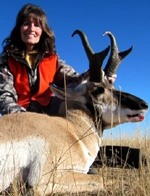 The teeth are analyzed to determine age, weights are taken, location of harvest, and the condition of the animal are all recorded. 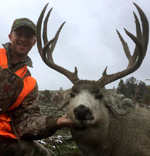 We at Grizzly Outfitters, LLC pride ourselves in having some of the best guides. Pepper, Tyler, Pat, Jess, Brad, Colby, Ethan, and Adrian have all been involved in our operation for many years. They know and understand the game patterns and the terrain. Our success rate runs close to100% due to these qualified guides. 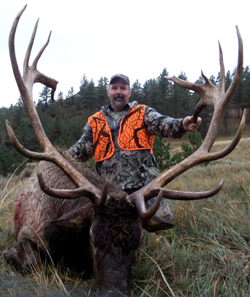 They are the foundation of Grizzly Outfitters, LLC. 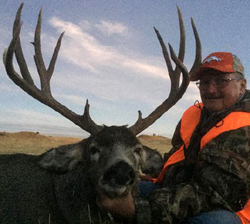 Our hunts are four days hunted on private, BLM, and State lands. 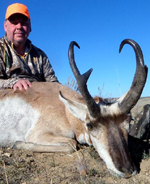 You will be guided 2x1 or 1x1 which ever you choose with four wheel drive pickups and on foot. 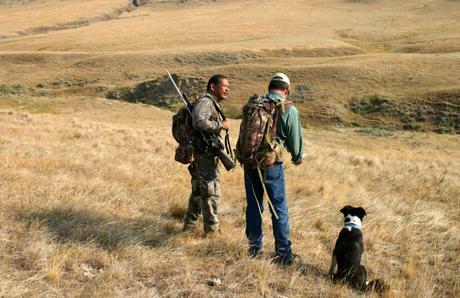 These are spot and stock hunts. 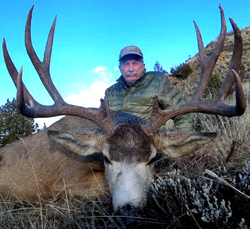 We offer both rifle and archery hunts. 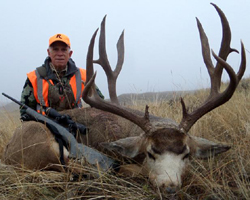 We can handle any type of hunt regardless of your age. 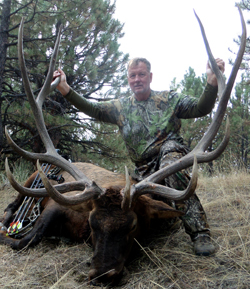 These hunts are semi-physical hunts and require being able to walk up and down steep terrain. Our main lodging is the Cabin Creek Lodge, which is our personal residence, and the Squaw Creek Camp is used for the Wyoming season. We offer excellent accommodations with all the comforts of home. We employ two full time cooks, so be ready to gain some weight with our home style meals.